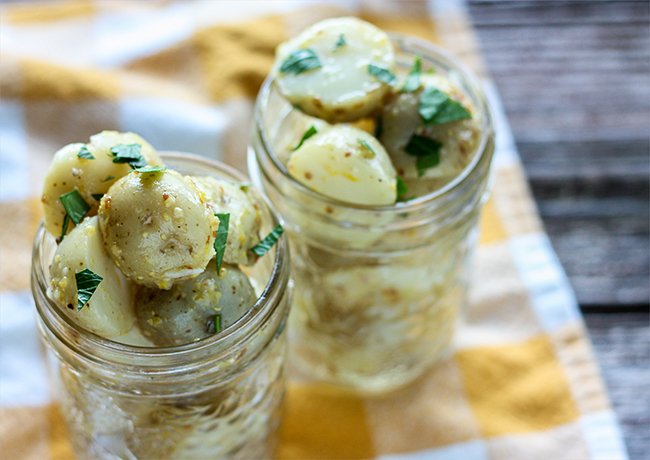 Doesn’t potato salad get a bit…tired at parties and picnics? We thought it was about time we gave it a makeover and made it easy to transport for your mason jar picnic! The best part – there’s no dairy so it isn’t as heat sensitive. 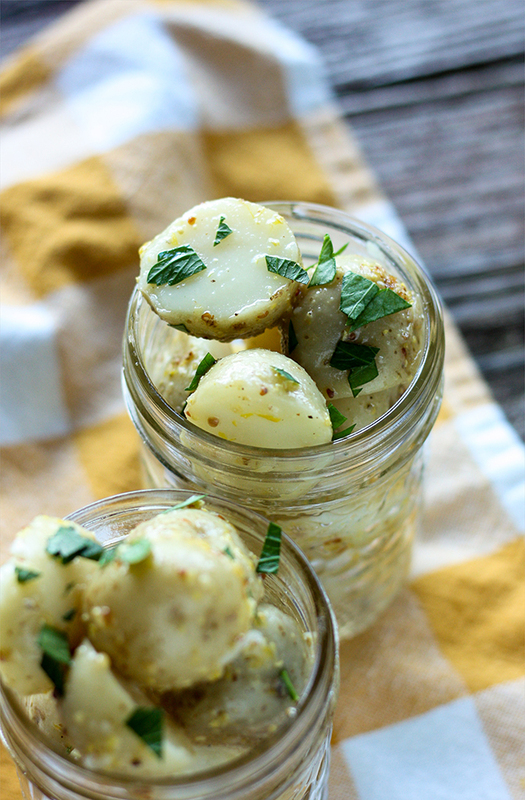 We’re dressing our potatoes in a honey, mustard glaze and tying it all together with a bright sprinkle of parsley. Tired potato salad no more! 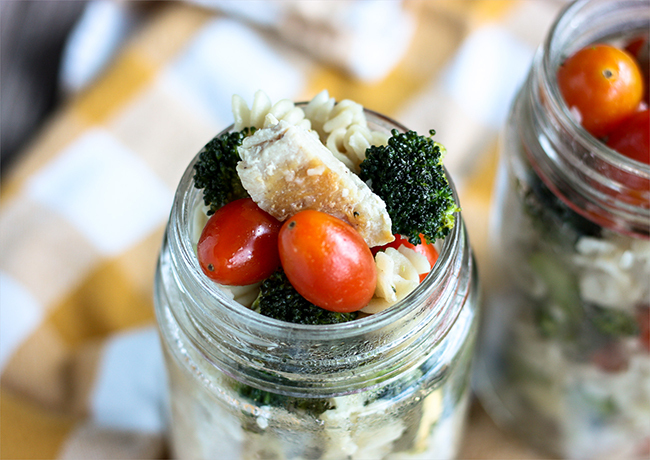 This week, we’re all going on a picnic – and we’re bringing everything in mason jars (say whaaaat??!). How about that for a life hack! 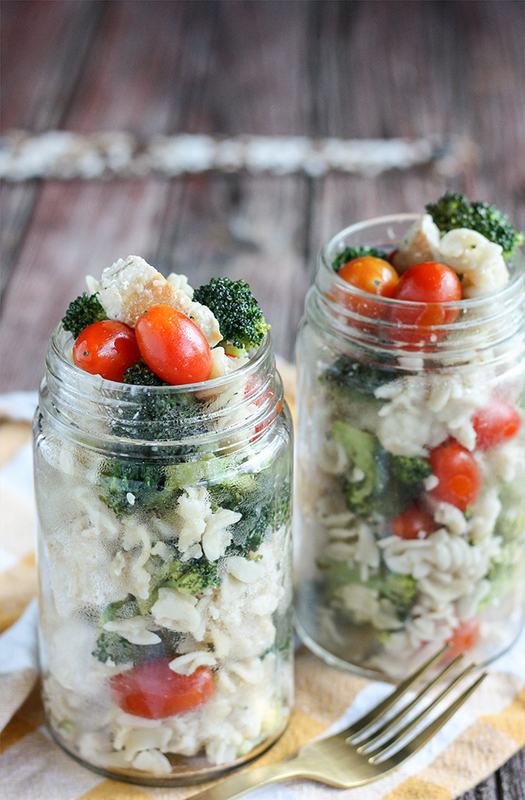 Once prepped each of the dishes we’re sharing this week can be stored in a mason jar & and taken on the go. Say, that would make for a pretty fun lunch box idea, too! Don’t you think? This bright & classic pasta salad is sure to be a crowd-pleaser but will be anything from boring when taken along on your next adventure. Come on, let’s get started! Raise your hand if you’ve ever felt personally victimized by your sweet tooth. 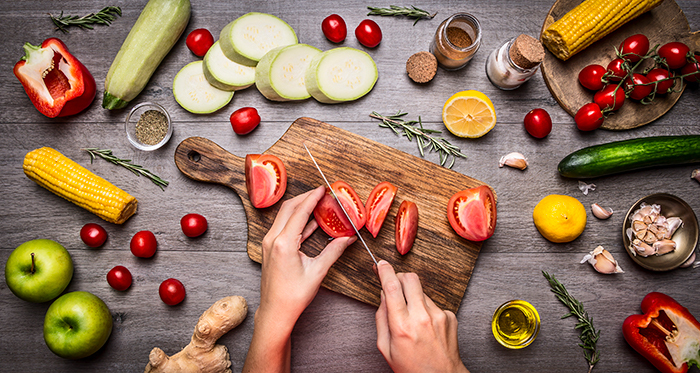 It strikes at the worst possible time, right as you decide – “today is the day that I’m going to eat healthier!” It’s really quite a pickle. 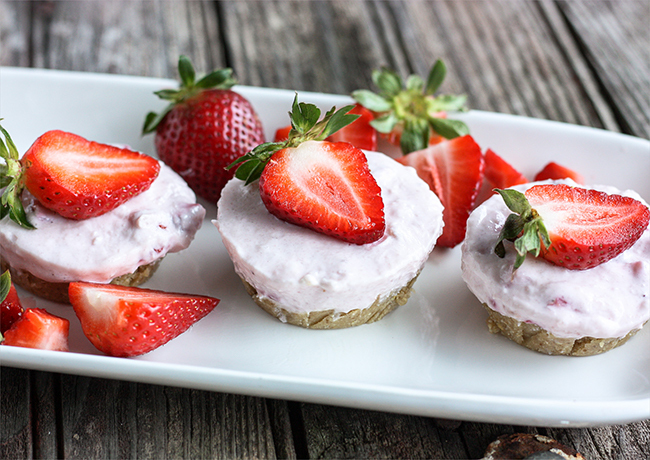 Except pickles aren’t sweet and these mini Frozen Strawberry Greek Yogurt Tarts are and we’re going to show YOU how to make them. 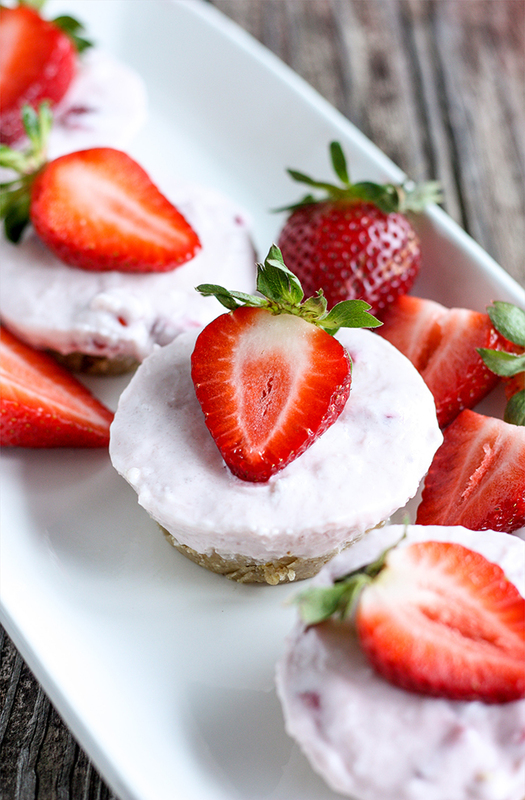 Creamy, dreamy and gluten free these may be your next sweet tooth rebellion solution. We’ll make a simple cashew date crust, and then set the Greek yogurt & strawberry mixture on top to finish. After setting in the freezer, these babies are ready to devour! Most days, it really isn’t acceptable to play with your food. “Sigh”. As much as we may want to, we’d probably get some pretty strange looks if we smushed our dinner rolls into little balls (admit it, you’ve done this) or blew bubbles in a glass of mlk with a straw. What fun is that thought? Today, we’re giving you an excuse to play with your food. 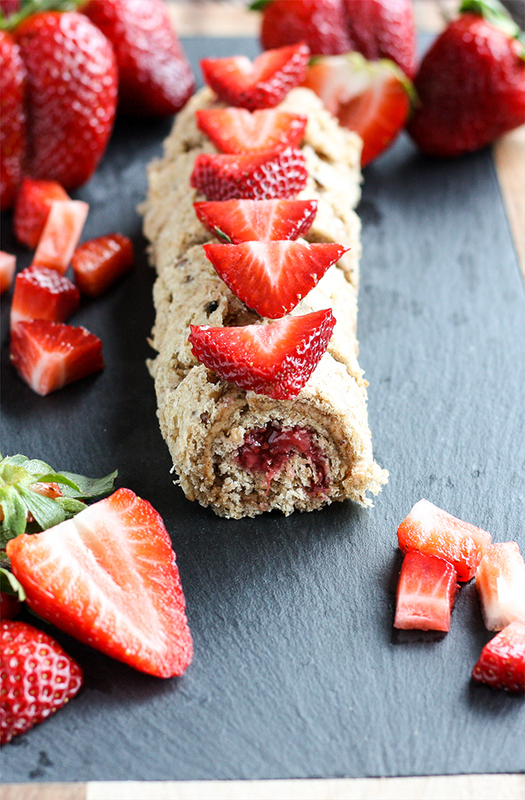 No wait, we’re ordering you to because making these Strawberry Chia Jam & PB Sushi Rolls is the most fun thing to happen since…sliced bread? They’re a total must. You can certainly use a jam of choice, but we’re also showing you how to make versatile and delicious Strawberry Chia Jam, which is easy peasy lemon squeezy. Grab your chopsticks, let’s go! Who else is a texture person when it comes to food? We sure are! 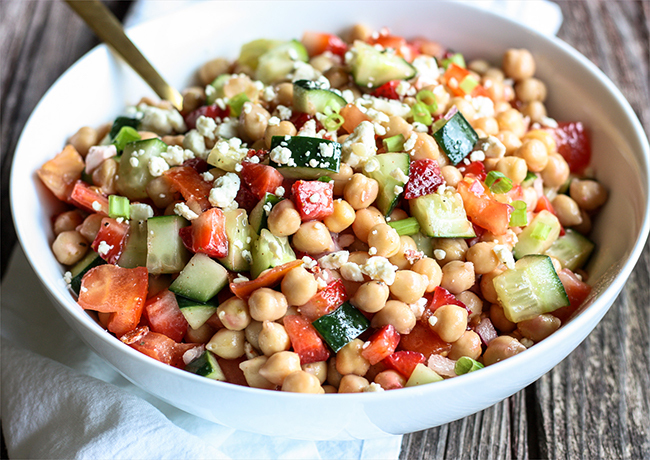 This cool chickpea salad combines crumbly chickpeas, soft strawberries, crunchy cucumbers and creamy feta in a bowl full of goodness. Versatility is the name of the game here. 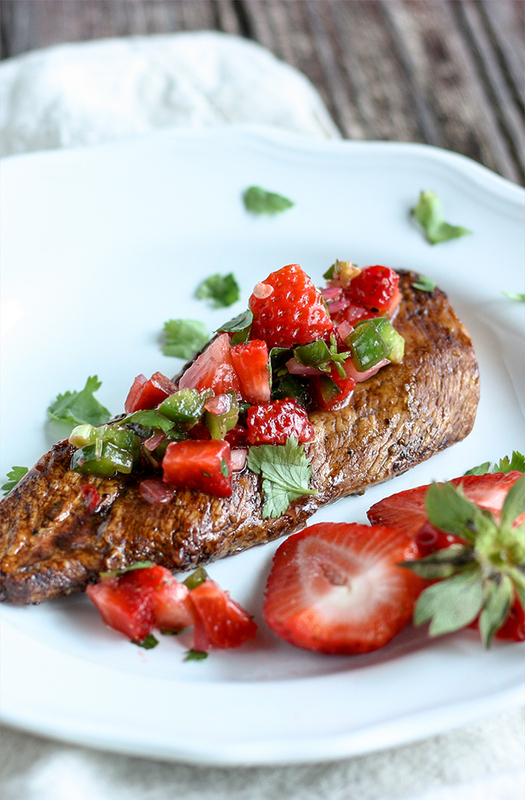 Use this dish as a side at your next dinner party or implement it in your next meal prep session! Eat it as is, put it on a bed of lettuce, or stuff it in a taco! 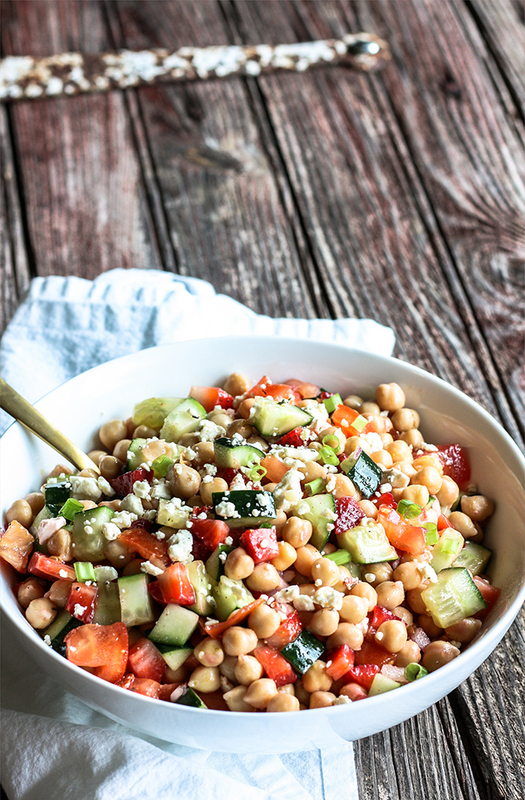 The world is your oyster…errr, we mean chickpea! Ah, sweet springtime. We love when the flowers start to peep out of the ground, the trees are full of leaves again, oh and the best part…berry season is just around the corner. Sorry winter citrus season, you ain’t got nothin’ on spring and summer produce. 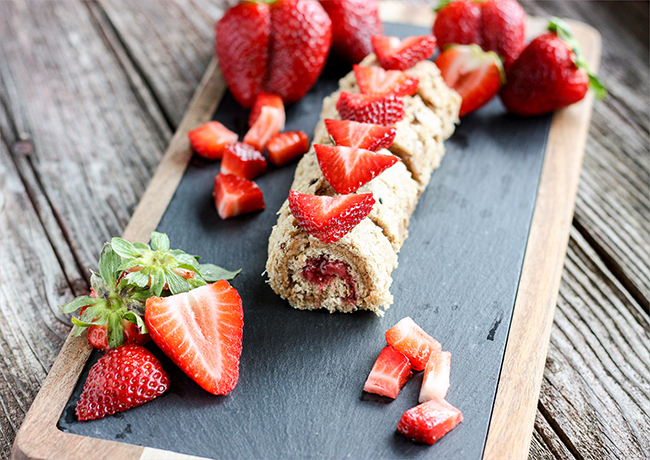 We love berry season so much, we just had to get started with everyone’s favorite flavor, Strawberries! Who says you can’t have them for dinner? 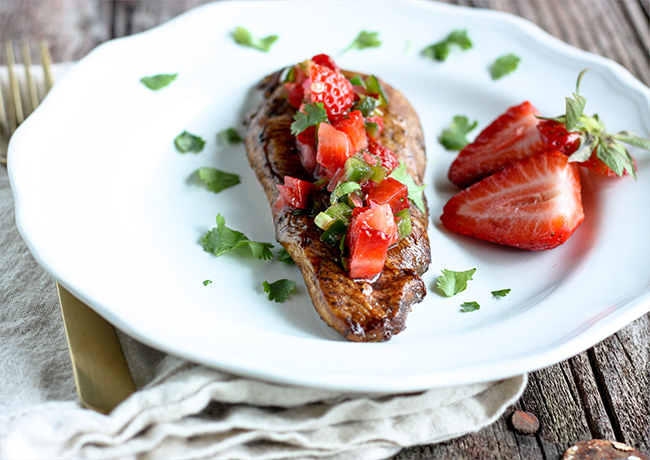 Try out this bright & easy strawberry salsa atop a juicy, balsamic marinated chicken breast. It’s sure to be a family favorite for you, too!